In December 2012, Mantra Percussion gave one of the top “ten memorable classical performance of 2012” (The New Yorker) performing Michael Gordon’s Timber as part of the New Wave Festival at BAM. On April 30, Ear Heart Music presents this highly acclaimed, captivatingly rich performance, remixed live by an international array of DJs in an aurally and visually arresting production. Mantra Percussion will be joined in reinterpretations by electronic virtuoso Ikue Mori, banjo/electronics pioneer Brandon Seabrook, Battles’ guitarist Ian Williams, and clarinet/electronics innovator Jeremiah Cymerman. The entire show will be accompanied by multi-disciplined media artist and designer Joshue Ott, the mastermind behind superDraw, utilizing his groundbreaking software to create synchronized visuals in a special guest appearance. Timber is scored for six wooden 2 x 4s cut into different sizes, giving each one a slightly different pitch. Called a simantra, this percussion instrument was first devised by Ian Xenakis. 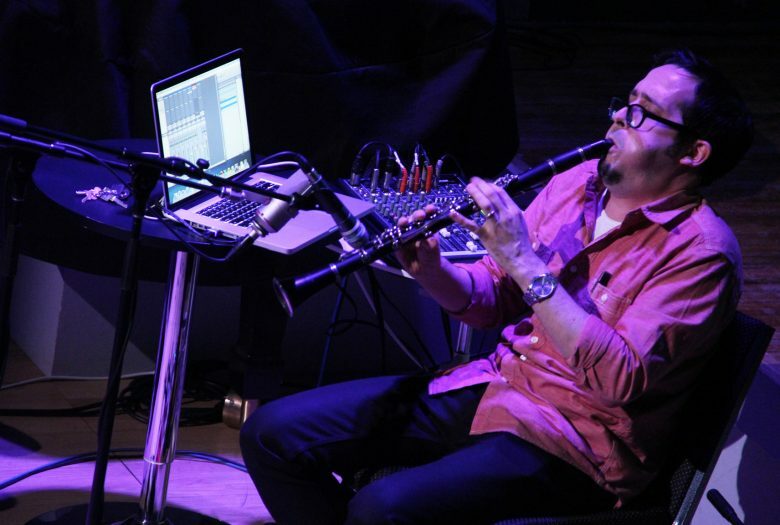 The instrumentation allows Gordon to create the impression that the sound is traveling around and through the room by subtly shifting the accent of sound from one player to another. 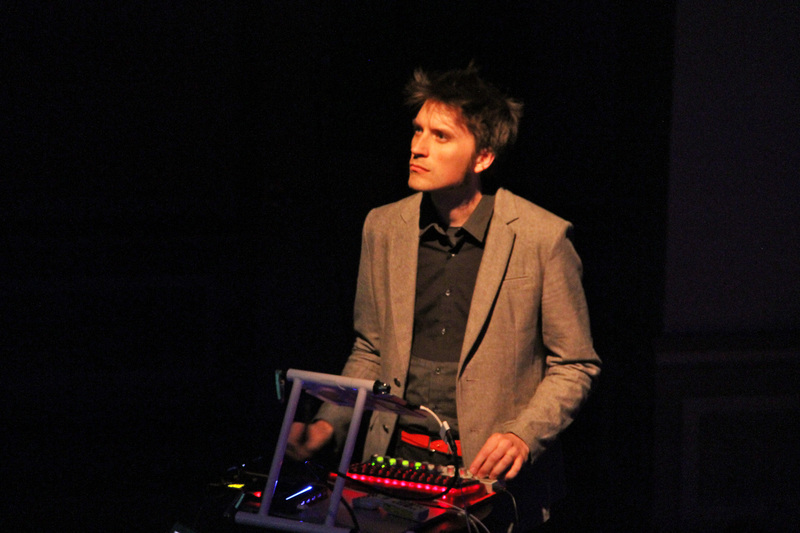 The result is a meditation on timbre and rhythm, bringing the physicality, endurance, and technique of percussion performance to the fore. 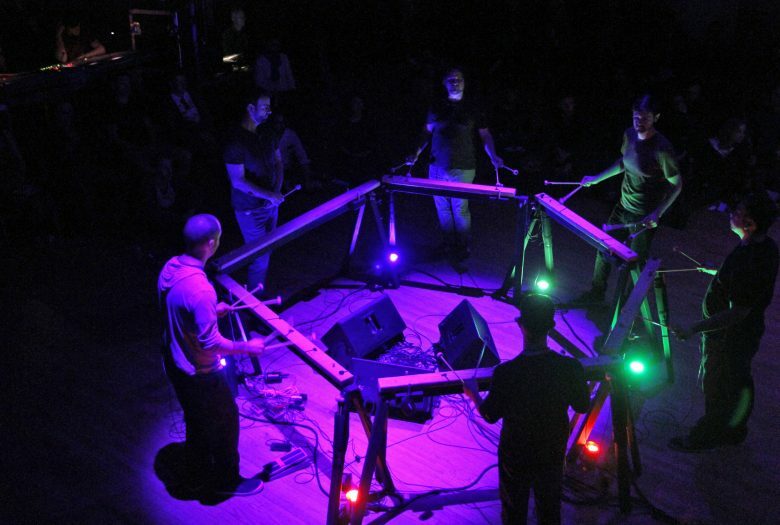 In the performance, Mantra’s six members stand in a hexagon, facing one another, and perform the piece enirely from memory. See this unique and mesmerizing work taken to an entirely new level! Hailed by The New York Times as “finely polished…a fresh source of energy,” Mantra Percussion is committed to expanding the future of percussion repertoire. 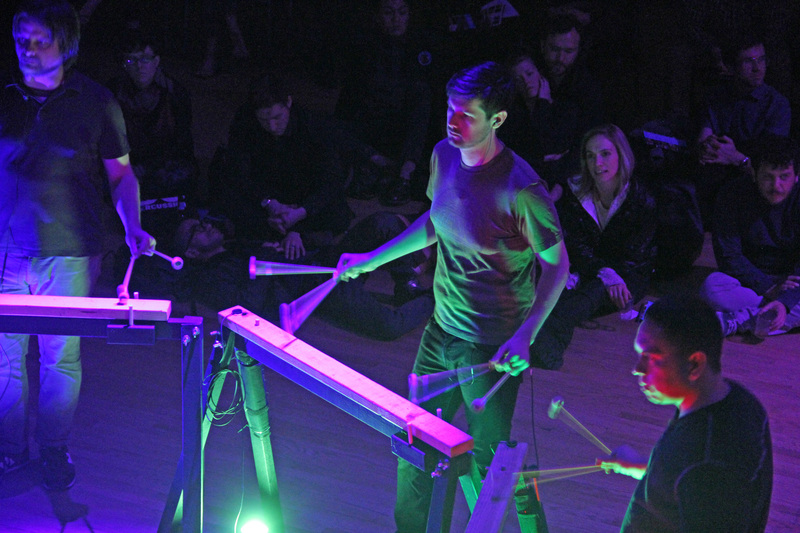 By commissioning and performing significant new works for large percussion ensemble by both prominent and emerging composers, Mantra Percussion breathes new life into the art form. 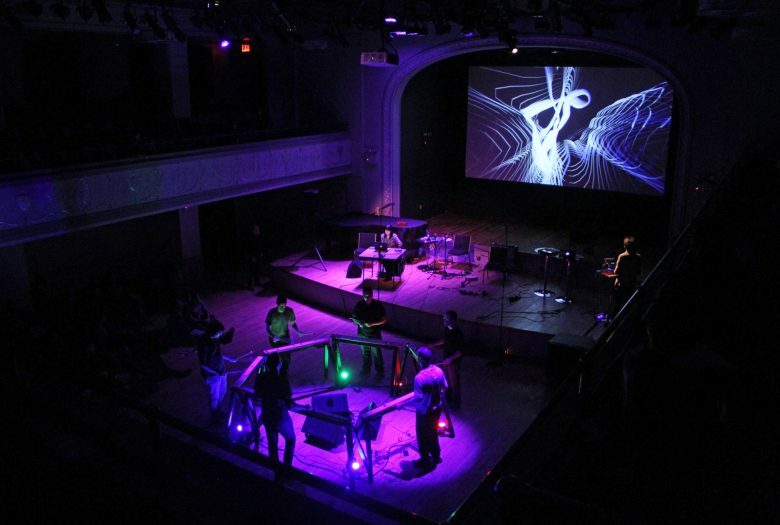 Also, the group often engages in cross-disciplinary collaborations to produce evening-length events that look toward a grander artistic vision. Mantra Percussion co-commissioned Michael Gordon’s Timber and gave the work’s US premiere in October 2011 at Bowling Green State University in Ohio; they subsequently toured the work throughout North America. 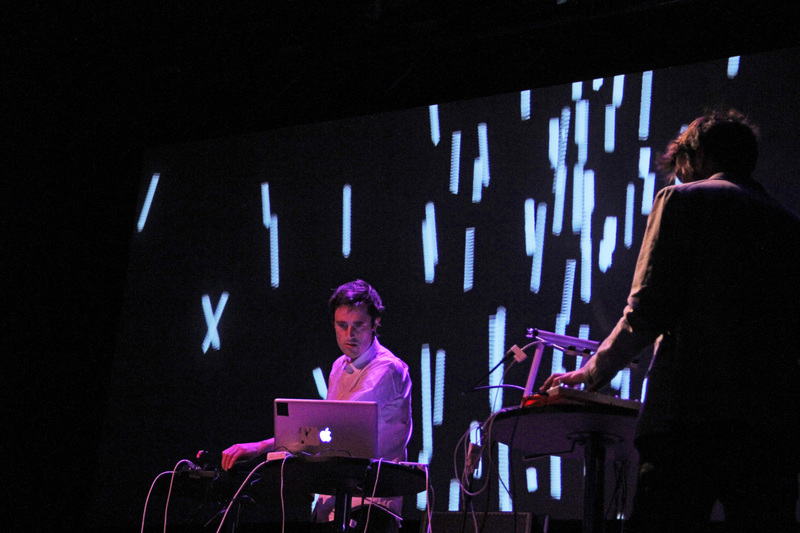 Mantra gave the New York premiere of Timber at the Brooklyn Academy of Music’s Next Wave Festival in December 2012, and the performance was considered one of the top ten best classical concerts of 2012 by The New Yorker and Time Out New York. 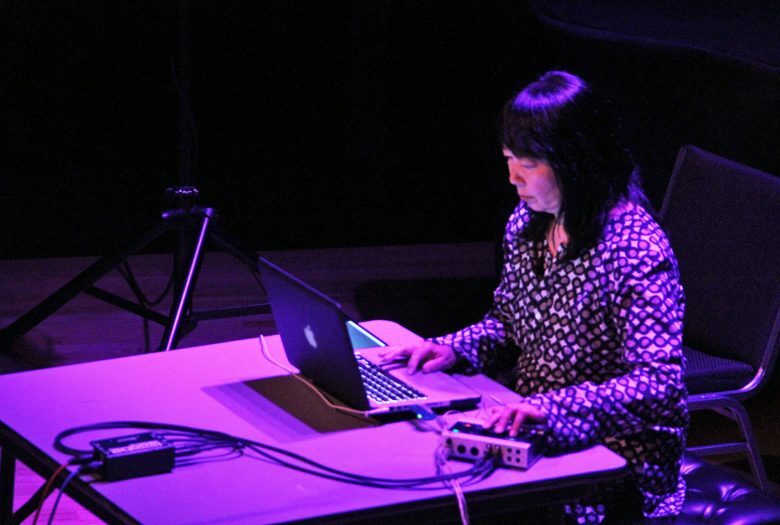 A winner of the Distinctive Award for Prix Ars Electronica in the Digital Music category, Mori is a pioneer of the New York experimental music community, beginning with the seminal No Wave band, DNA, with Arto Lindsay and Tim Wright in the late 70s. Over her extraordinary career, she has collaborated with Ensemble Modern, Relache, Zeena Parkins, Mephista with Sylvie Courvoisier and Susie Ibarra, Sonic Youth, Marc Ribot, and John Zorn. 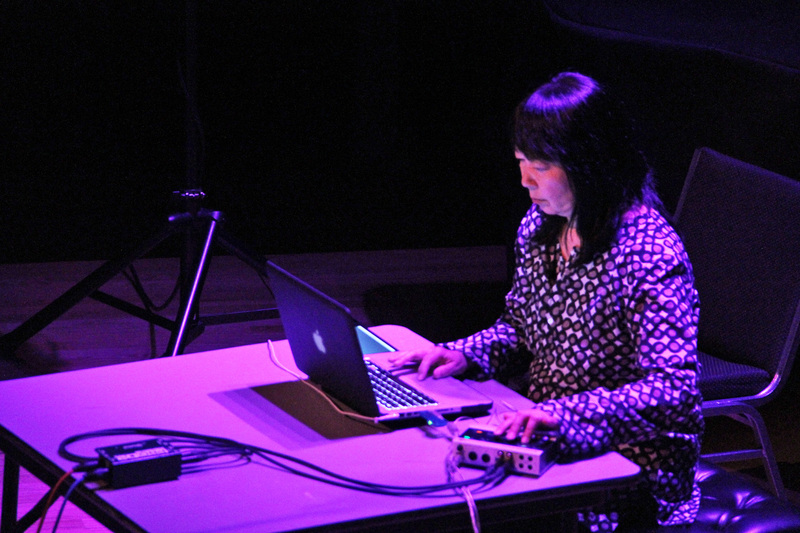 Mori’s multifaceted sonic projects have been commissioned by such institutions as the Tate Modern, the Montalvo Arts Center, and SWR German radio program. A longtime fixture in the New York avant rock circles with such acclaimed bands as Don Caballero and Storm & Stress, and noted for his dexterous finger-tapping guitar technique, Williams is currently the mastermind behind the experimental band, Battles, on Warp Records. 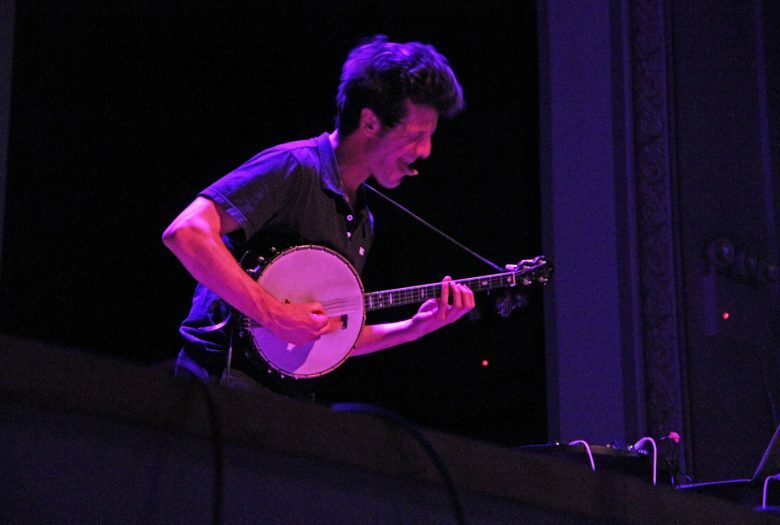 Described as “an impenitent genre-breaker whose membership among today’s greats must be granted now” (Touching Extremes), and whose music strikes “a compelling balance between hallucinatory sound sculpting and the immediacy of improvised music” (Dusted Magazine), Cymerman is a frequent performer at Roulette, The Stone, Issue Project Room, and Anthology Film Archives. Joshue Ott is a multi-disciplined media artist and designer. 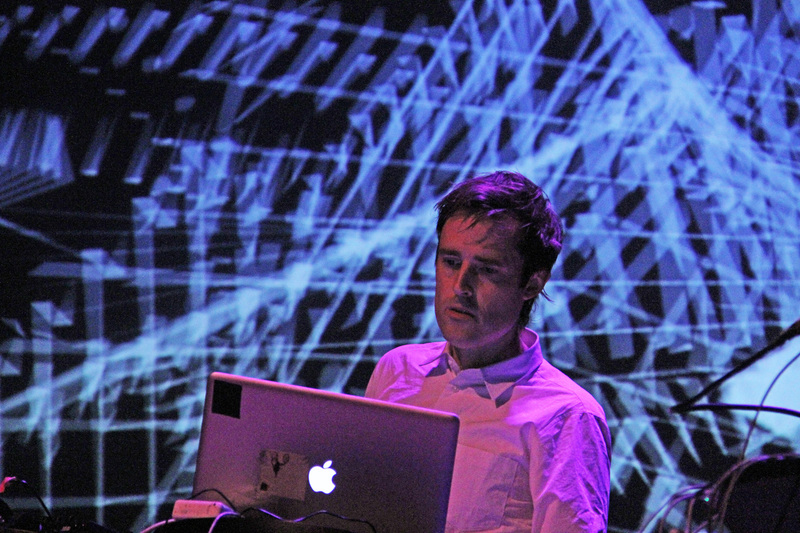 Over the last couple of years, his attentions have been largely devoted to creating superDraw, a software intended for live visual performance. With superDraw, Ott’s interest has been to create a program that could produce visual art, but behave more like a musical instrument, to be learned, practiced and wielded just like a guitar, saxophone or laptop. To this end, the program is fitted with a tablet interface for drawing in real time, enabling a higher degree of physical interaction with the person using it, and arguably, a higher degree of interactive expression. Performing with superDraw, Ott bends lines and movements, creating improvised hand drawn forms which rest in a comfortable space between minimalism, psychedelia, and curious simplicity. With the subdued use of color amidst stark black and white, Ott’s visual work complements the music perfectly, highlighting contrast and maneuvering through moment driven change. By taking advantage of the immediacy of on the spot art, made outside the computer, and transferred through it, Ott is able to unite the worlds of the physical and digital to make a perfect union of human control and computer fueled chance. A showcase of highly talented and adventurous performers, composers, and collaborative artists, Ear Heart Music is a modern chamber music series for modern ears. Operating at the Tank in Manhattan for the past three years, founder and director Amelia Lukas has “piloted impressive events on a shoestring budget. Roulette offers greater resources, and Ms. Lukas is taking advantage in an ambitious season filled with premieres and cross-disciplinary collaborations” (The New York Times). According to Time Out New York, Ear Heart Music “has become a staple in the New York new music soundscape.” Its thoughtfully designed programs highlighting recent masterworks stimulate creative thought and instill new avenues of perspective in the listener. The consistent level of intelligent and inspiring music-making resonates in the mind and body. 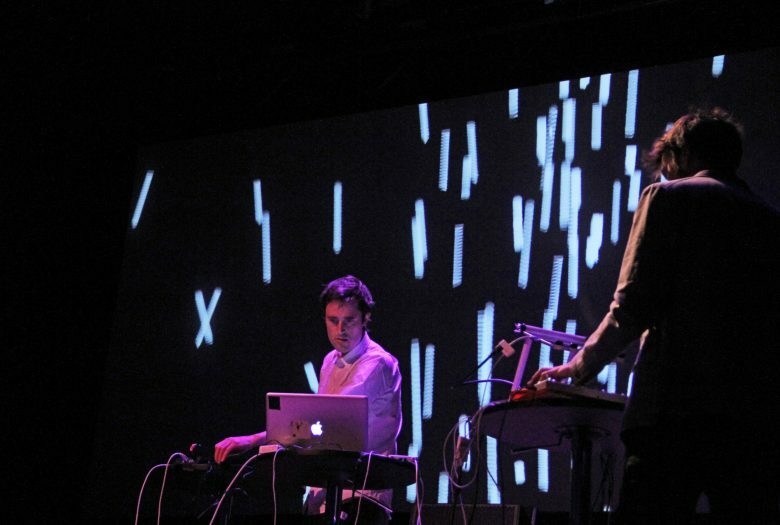 Shows include electronic processing, performance art, visual art, film, and dance, providing deeper context for the music. 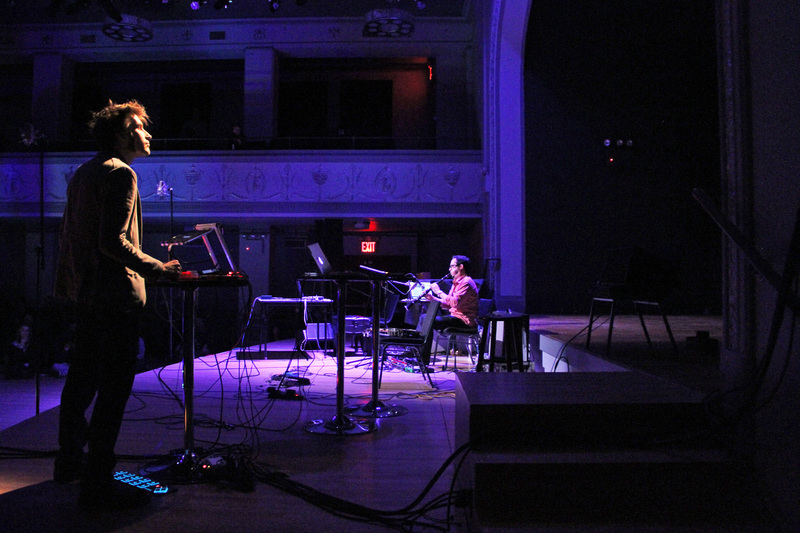 Unique artist pairings, diverse programming, and the integral incorporation new work all contribute to Ear Heart Music playing a major role in reshaping the chamber music landscape for the 21st century.